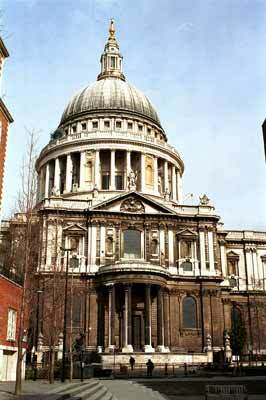 It was during his second visit to London, in 1851, that Berlioz first attended a musical performance in St Paul’s. 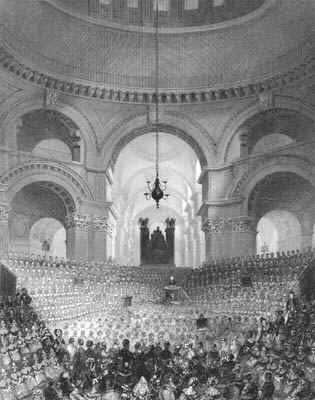 By chance he was able to hear a Charity Children annual performance given there by a chorus of 6500 children; the overwhelming impact of this occasion inspired him to include a part for children’s voices in his Te Deum, which he had written earlier, in 1848-9. 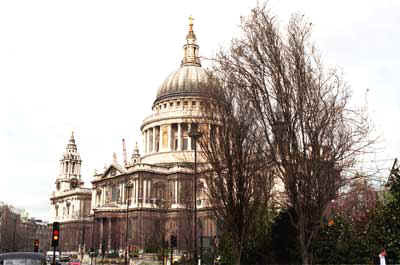 […] I relate there the incomparable experience I had recently in St Paul’s Cathedral on hearing a chorus of six thousand five hundred children from the charity schools, who assemble there every year. 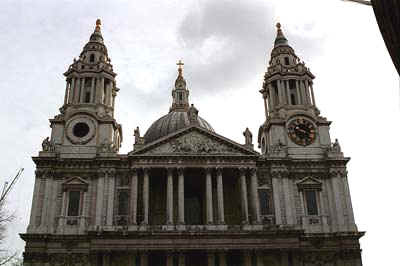 It is without comparison the most imposing, the most Babylonian ceremony I have ever witnessed to this day. I am still moved as I write to you. Here is the realisation of part of my musical dreams, and the proof that the power of musical masses is still completely unknown. No one on the continent has any idea of this, any more than the Chinese have any idea of music. The following year (1852) Berlioz incorporated these Débats articles in his Les Soirées de l’Orchestre (21st evening). 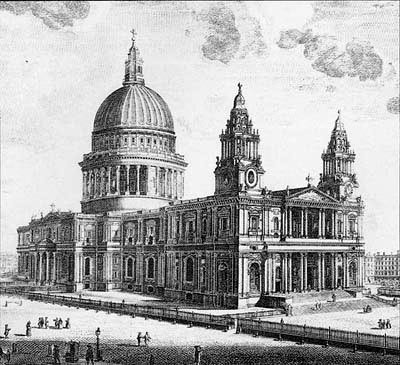 The present building, which is the one Berlioz knew, was designed by Sir Christopher Wren and built between 1675 and 1710, replacing Old St Paul’s, which had been completely destroyed in the Great Fire of London in 1666. 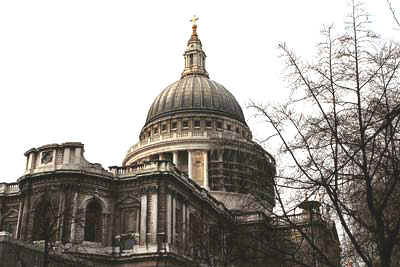 Old St Paul’s itself was a replacement of the first St Paul’s, which had been built in 604 and burned down in 1087. 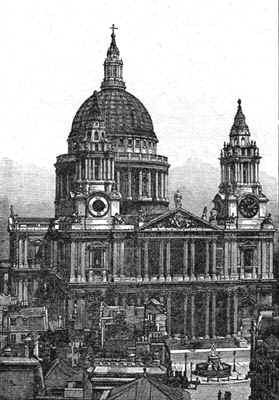 All the modern photos reproduced on this page were taken by Michel Austin in 2002; other pictures have been scanned from engravings, prints, books and memorabilia in our own collection. © Monir Tayeb and Michel Austin. All rights of reproduction reserved. 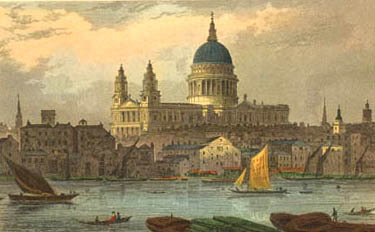 A copy of the above engraving is in the Museum of London. 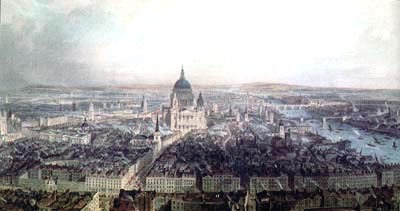 The original copy of the above painting is in the Museum of London. 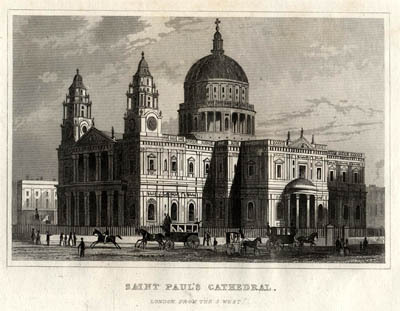 This Victorian print dates from 1825-1840; it was drawn by Thomas Hosmer Shepherd and engraved by J. Tingle. 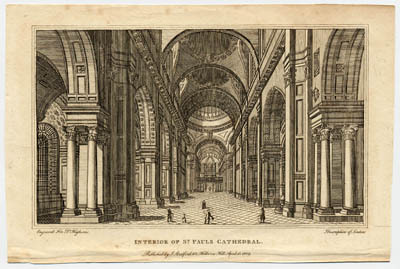 The above engraving is by G. R. Roberts. 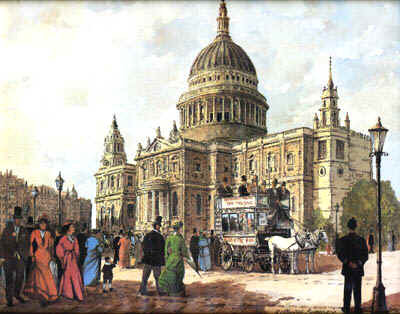 This fine print is a reproduction of the original painting by R. Standish Sweeney. This bookmark is dated c. 1900. © (unless otherwise stated) Monir Tayeb and Michel Austin for all the pictures and information on this page.